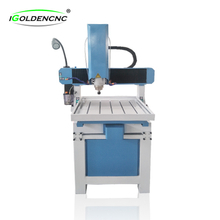 With people's understanding and mastery of mould engraving machine, the scope of application and application level will be gradually improved, such as advertising industry, seal industry, craft and gift industry, art model industry, wood processing industry, mold industry and so on. Can be processed materials include acrylic, double color board, PVC, ABS board, Stone, imitation stone, metal, aluminum plate and other materials. Advertising industry: carving, cutting all kinds of signs, seat signs, marble, copper, pattern, font, all kinds of signs, trademarks and other metal materials. Handicraft industry: Handicrafts, souvenirs on the engraving of various types of text, graphics, iron art carving, dial. 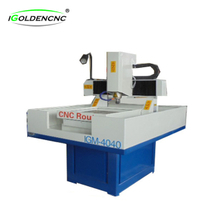 Mold Processing: Building model, physical model, bronzing mold, motor, wave mode, micro-injection mold, shoe mold, badge, embossing mold, biscuits, chocolate, candy mold, seal industry: can be in the horn, plastic, organic plate, wood, storage pad and other materials easily engraving the seal.